Beaver County Radio is excited to present the Pirates Treasure Chest! The Pirates Treasure Chest will be loaded full of a bounty of prizes, including Pittsburgh Pirates memorabilia, premiums and game tickets! 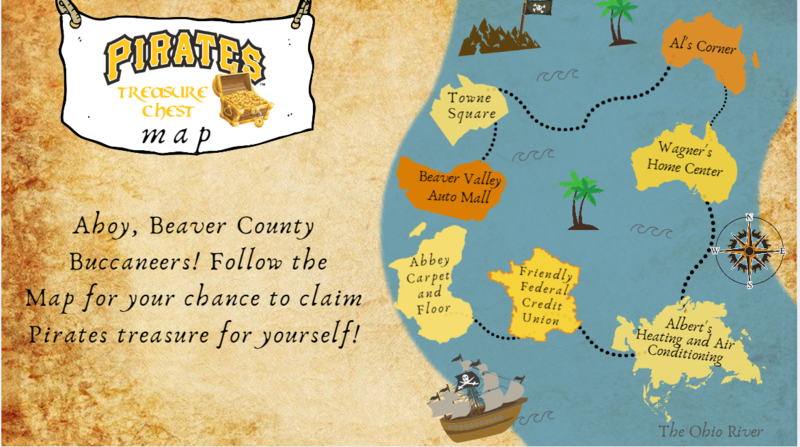 Lucky “Beaver County Buccaneers” can find the chest at local businesses try to correctly answer Pirates trivia questions for a chance to open the Pirates Treasure Chest and select a prize from the vast bounty within! Find out when/where to find the chest!